Madeline Rogero was elected the first woman Mayor of Knoxville in 2011 and was re-elected in 2015 with no opposition on the ballot. 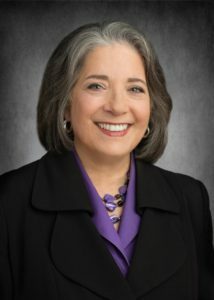 I’ve known Mayor Rogero for over 10 years and remember her first run for mayor back in 2003. We’ve had lunch several times over the years and I was honored that she agreed to be interviewed by me for my newsletter. Cameron Brooks considers Knoxville home, having lived there since 1996, though his first 18 years he lived in Bristol. At his core he believes in protecting his real estate clients and their interests above all else. As a lover of dogs, Cameron is committed to supporting animal rescue groups through his business, including financially supporting these groups. He is also one of the 5 legislatively appointed election commissioners for the Knox County Election Commission, charged with ensuring fair elections and protecting the right to vote. Cameron Brooks is an affiliate broker with Realty Executives Associates. Check out more about Cameron on this site under "Cameron's Story." Sign up for my print newsletter, mailed to your home! Over $9,000 Raised For GoNorth!